While many area high school students might be planning holiday activities, a few are getting a head start on their college careers through Rio Salado College’s dual enrollment program. Dual enrollment allows students to earn college credit while still in high school. Research shows students who participate in dual enrollment programs have higher college GPA’s, are more likely to complete their freshman year when nearly 30 percent drop-out and are more likely to graduate from college than those who don’t. Rio Salado’s dual enrollment program began in 1987 with Xavier College Preparatory as the first partner. Today, the college partners with 41 Arizona high schools. In the last year, more than 6,700 students earned high school and college credit simultaneously. Dual enrollment classes are taught in person at each partnering high school, and are designed to meet both high school and college proficiencies. Instructors undergo special training to teach the college-level classes. With parental permission, high school students can take online classes through Rio Salado College to supplement their associate degree even if their high school does not have a dual enrollment partnership established. “We love seeing the success and excitement of our students who earn an associate degree from Rio Salado and three weeks later graduate from high school,” Anderson said. DeMent applied her associate degree credits toward a bachelor’s degree program. In 2004, Rio Salado was one of four colleges and universities to earn accreditation with the National Alliance of Concurrent Enrollment Partnerships (NACEP), the sole accrediting body for high school dual enrollment programs. Rio Salado was reaccredited by NACEP in 2011 and is still the only college in Arizona to have earned this distinction. “Dual Enrollment program has really flourished in the past few years as students, parents, teachers and administrators see the incredible benefits of students earning college credits while still in high school,” Anderson said. Dual enrollment credits transfer to all Arizona public colleges and universities, as well as many public and private colleges and universities outside of Arizona. Registration for spring dual enrollment classes begins in January. To learn more visit www.riosalado.edu/dual. This story can also be found in the Nov. 15, 2014 edition of the Tempe Republic. By Rio Salado Communications Coordinator Mira Radovich. Photo: Rio Salado Dual Enrollment Site Coordinator Claudia Bermudez (left) and Director of Community Partnerships EJ Anderson (right) stand alongside dual enrollment graduates from May 2014. 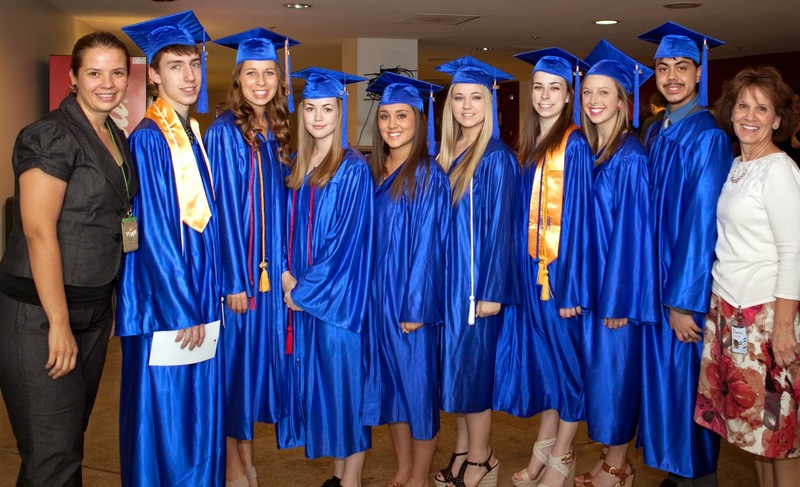 Learn more about this 2014 class in RioNews.